Map of the Firelands From the Field Notes of Maxfield Ludlow and Almon Ruggles 1808: Origin and Distribution of Settlers in the Firelands 1808-1814. Prior to 1809, modern day Erie County was in the northern portion of the Firelands of the Connecticut Western Reserve. 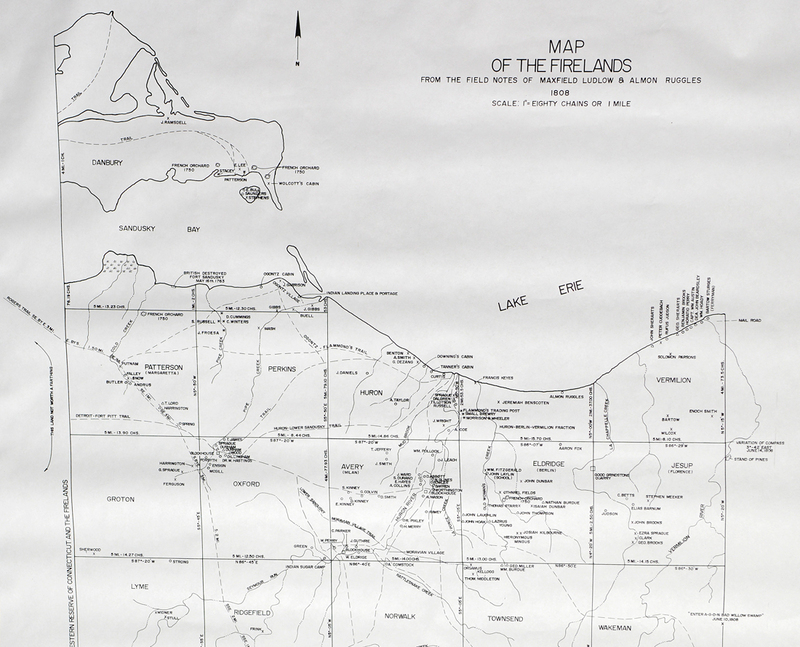 In 1809 the Firelands became Huron County, but it was not formally organized until 1815. This map shows the original township boundaries and names, Indian trails, and the distribution of the early settlers in our area. 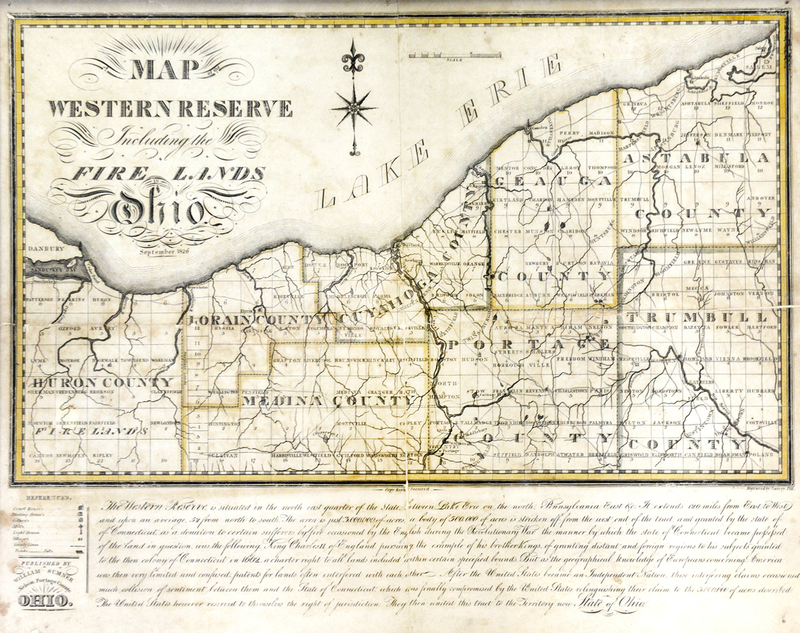 Map of the Western Reserve Including the Fire Lands in Ohio, Published by William Sumner, Nelson, Portage County, Ohio, September 1826. “Map of Erie County Ohio Drawn and Compiled by M. Grosskoff” from Stewart and Page, Combination Atlas Map of Erie County, Ohio, Philadelphia: Stewart & Page, 1874. It is interesting to note the number of small towns located in Erie County in the last century when the majority of Americans were farmers and dependent upon horses and buggies to reach the nearest town. T.G Bradford, Ohio, from Bradford’s “Illustrated Atlas of the United States,” First Edition, Weeks, Jordan & Co. Boston, 1838. This section of Bradford’s 1838 map of Ohio shows Erie County as it was established in 1838. The new county included Danbury, Catawba Island, and Portage Townships in what is now Ottawa County and Margaretta, Kelleys Island, Perkins, Portage, and Groton and Oxford Townships except for a one mile wide strip of land on the south side of the two townships. 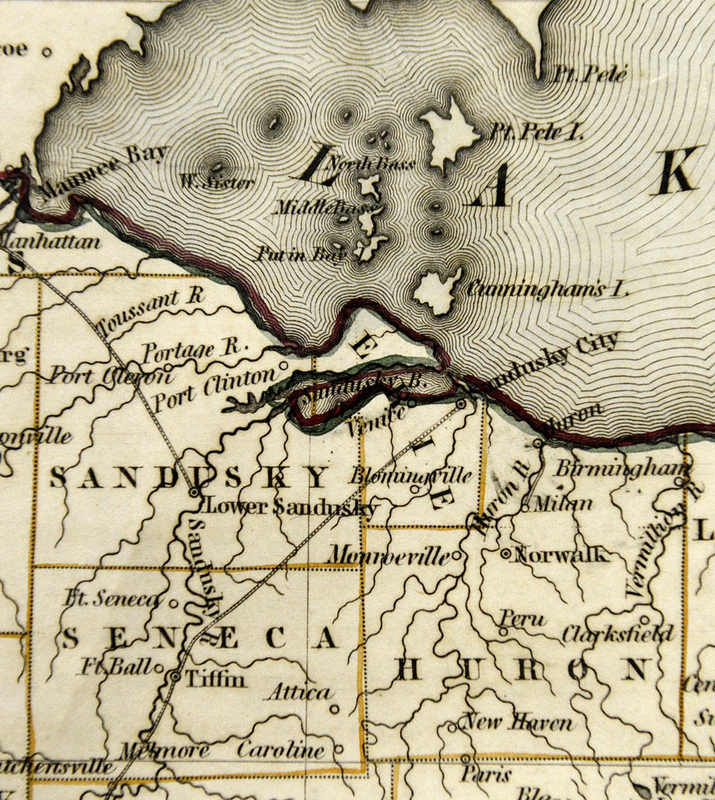 In 1840, the three townships on the Marblehead Peninsula became part of the newly organized Ottawa County except for the fragment of Portage County on the south side of Sandusky Bay. Erie County assumed its present form with the addition of Milan, Huron, Berlin, Florence and Vermilion Townships and the one mile wide strip of land in Groton and Oxford Townships bordering Huron County. 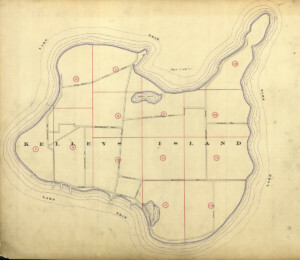 Map of Erie & Part of Ottawa Counties, Ohio Showing the Sections, Farms, Lots, and Villages From Actual Survey by Philip Nunan, Sandusky, 1863. When the Firelands were surveyed by Almon Ruggles in1809, the area was divided into five mile square townships. 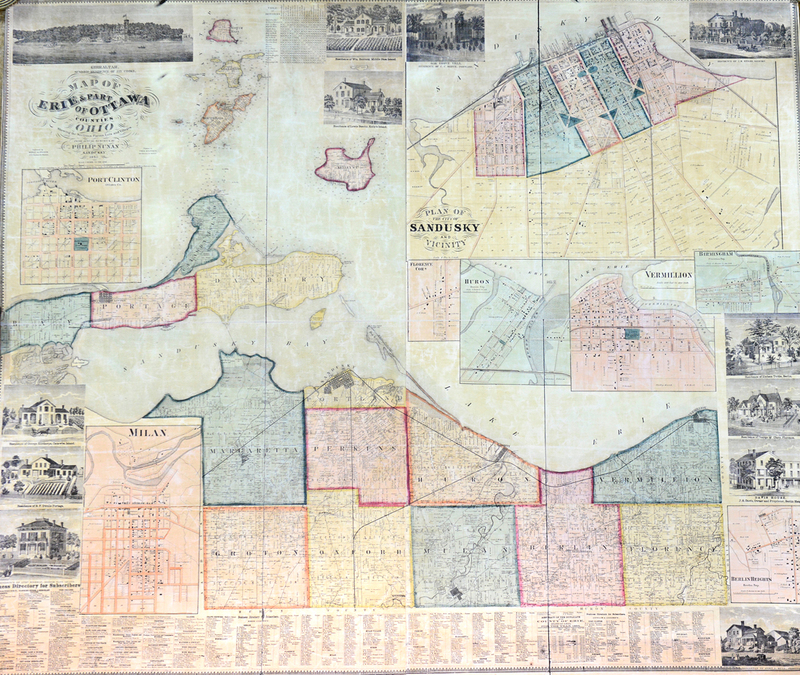 Because the northernmost townships bordering Lake Erie were smaller than those to the south, the boundaries of Huron, Berlin and Vermilion Townships were adjusted to make them approximately equal in size to the townships to the south. 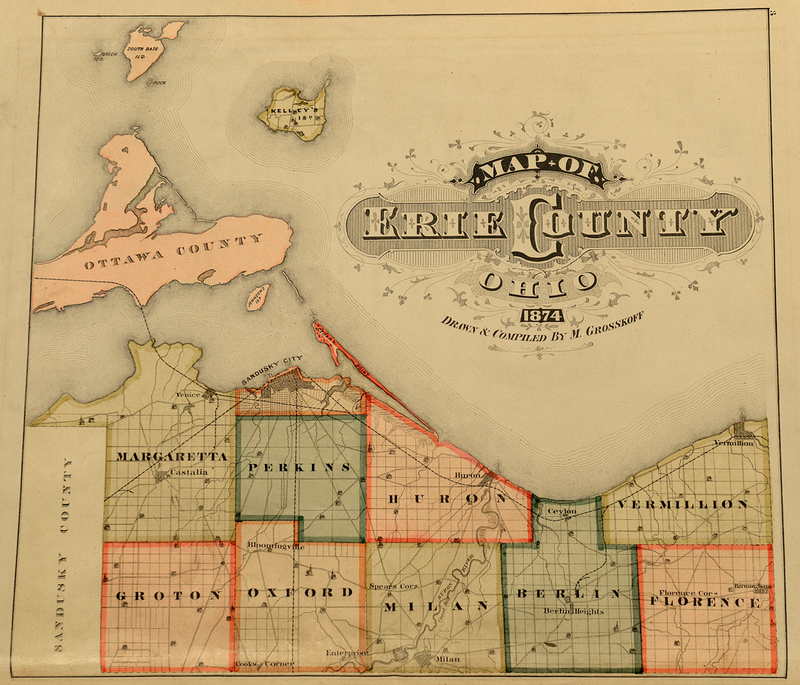 “Map of Erie County” from The Atlas Publishing Company, Illustrated Atlas and Directory of Erie County, Ohio. Including a Directory of the Freeholders of the County Compiled and Published from Official Records and Personal Examination. Battle Creek, Michigan: The Atlas Publishing Company, 1896. 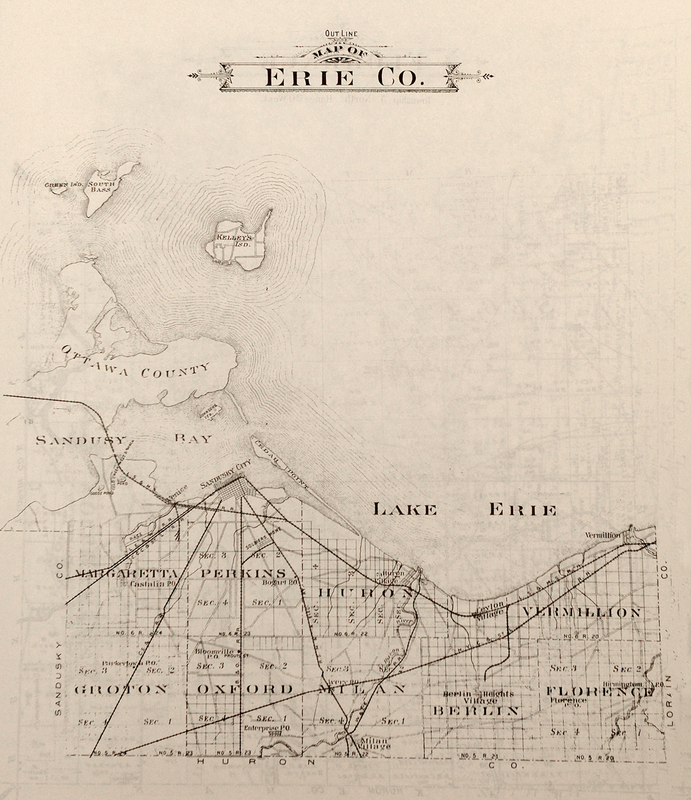 Note the many railroads that connected Erie County with the rest of the United States at a time when people traveled by train and when Huron and Sandusky served as major Great Lakes ports. 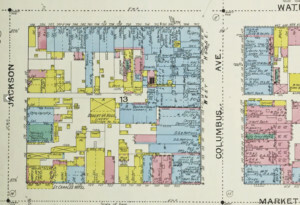 The Library of Congress has a complete collection of Sanborn Insurance Maps for Sandusky and surrounding areas on their website. Discover what buildings were where in Sandusky HERE. The city is divided into 42 pages. Page 1 is the overview and tells you which page to go to to see the detail. These are the tax maps used by the Erie County Auditor. They are indexed by city and township and generally cover 1920-1986 although some cover 1900-1986. Use the Index file to locate the section you are interested in and then click that section number to view the particular plat map. These are large PDF files and can take up to one minute to fully load. The maps show the owner names and lot lines. Every so often these maps are retired, new maps are drawn and put into place and ownership is once again tracked. This is a great tool for locating previous owner names. Current maps are physically located in the Erie County Office Building in the Tax Map room.